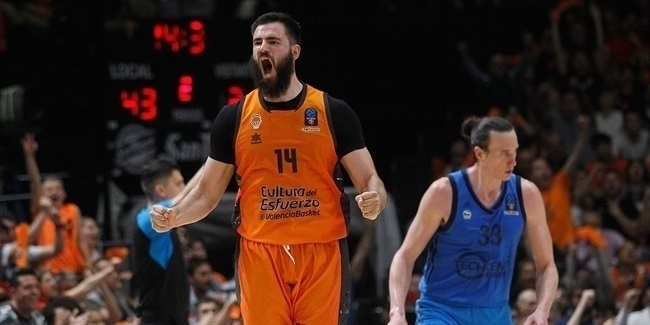 The Eurocup regular season reached its midpoint this week with Round 5. Everything is still open in the race for the Last 32 will just gain speed in the upcoming weeks. 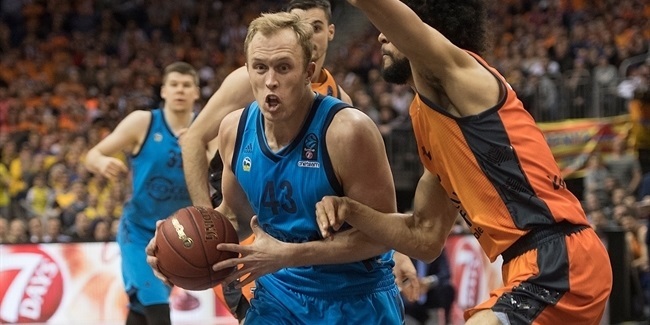 One player stood above the rest of them all this round as Walter Hodge of Zenit St. Petersburg led his team to its second win of the season in Group D and earned weekly MVP honors in the process. Hodge racked up a performance index rating of 34, more than any other player this week, thanks to his 25 points (including 12 of 13 free throws), 4 rebounds, 9 assists and 10 drawn fouls. His performance was good for a slim 89-86 home win over Khimki Moscow Region in an all-Russian electrifying duel. After him, two players that led their respective teams in losing efforts: Donta Smith of Hapoel Jerusalem and Jon Diebler with a performance index rating of 32 each. Anthony Randolph led Lokomotiv Kuban Krasnodar to a home win over Pinar Karsiyaka Izmir with his performance index rating of 30 including 17 points and 9 rebounds. Fifth in the list, Ali Traore of Strasbourg also with 30, but in a losing effort on the road to Paris Levallois. Three players topped the list of top scorers this week. 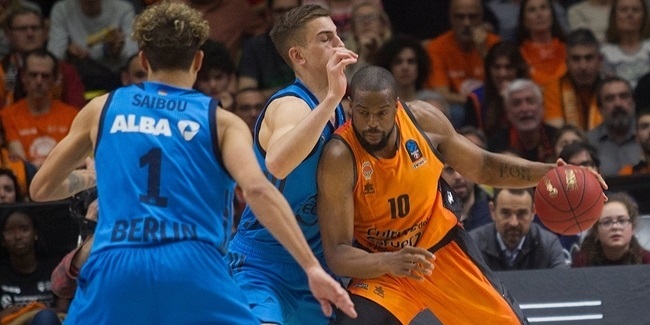 MVP Hodge was joined in the list of gunners by Chris Goulding of CAI Zaragoza and Wen Mukubu of Proximus Spirou Charleroi, as the three of them netted 25 points apiece. Diebler followed suit with his 24 points. Alen Omic of Union Olimpija Ljubljana was huge under the glass this week and pulled as many as 16 boards (12 defensive, 4 offensive) to be at the top of the rebounders list. Traore was just behind him with 15 (8+7). Andrea Cinciarini of Grissin Bon Reggio Emilia was the best passer this week thanks to his 12 assists while two players followed him with 10 apiece, David Holston of Artland Dragons Quakenbrueck and Brad Wanamaker of Brose Baskets Bamberg. Last but definitely not least, three players stopped as many shots with 3 blocks each: Bamba Fall of VEF Riga, Sharrod Ford of Paris Levallois and Sergey Monia of Khimki.